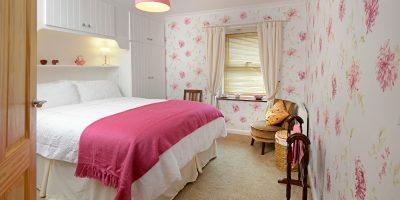 By booking with Granny’s Cottage you are accepting our terms and conditions. All bookings will be confirmed upon receipt of required deposit of 25%. However, if booking is within 6 weeks of booking commencement date full payment is required. The owner reserves the right to cancel a booking where full payment has not been received by 28 days before commencement date. Any amendments to booking will be subject to £25 administration fee. Maximum of 4 adults at any time. The party must take good care of the property, keep it clean and tidy throughout their stay and on departure. Any breakages or damage must be reported to the owner as soon as reasonably practicable after they occur. Charges may be incurred. The hirer must be over 18 years old and is held responsible for the behaviour of the party and the condition in which the property is left at the end of the stay. hirer or any member of party, their baggage, car and contents resulting from riot, war, strikes, adverse weather conditions or sickness or injury or for loss or damage by a third party. The owner accepts no liability for weather conditions which may affect public roads and access to property and shall not be obliged to offer any alternative property. 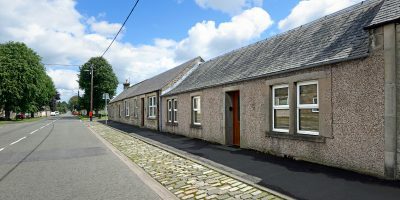 Comfortable well-equipped Holiday Cottage nestled in the village of Newcastleton. View our gallery of images. 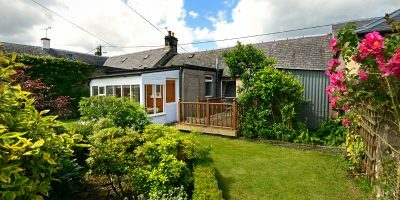 The cottage is fully equipped and has a lovely secure private garden. There are many ways to book with us. Please get in touch to check for availability.